Child Custody and Visitation Attorneys - Reed Law Firm, P.L.L.C. Child custody and visitation matters are often contested. In divorce cases, custody and visitation schedules are likely sticking points, both in settlement negotiations and at trial. While property division or support issues, tend to be somewhat mechanical, no price can be placed on the value of spending time with your child. Our family law attorneys understand the value of this time and will fight for your right to raise your child. The attorneys with The Reed Law Firm, P.L.L.C. are experienced in child custody matters. We strive to be compassionate and understanding advocates. We also appreciate the great emotional issues often involved in child custody litigation. How is child custody determined in Virginia? In some cases, practical considerations alone guide the determination of custody and visitation arrangements. Often, work schedules and other time commitments of the parents cannot be ignored. Regardless of the circumstances of a particular family, the court will focus on arrangements intended to protect the best interests of the children. In Virginia, the court is guided by one standard, “the best interest of the child.” In making this determination, the court must determine all of the statutory factors enumerated in Virginia Code § 20-124.3. In any case in which custody or visitation of minor children is at issue, the court may also order an independent mental health or psychological evaluation of the parents to assist the court in its determination of the best interests of the child. What child custodial arrangements are possible in Virginia? There are two separate and distinct types of custody: legal custody and physical custody. 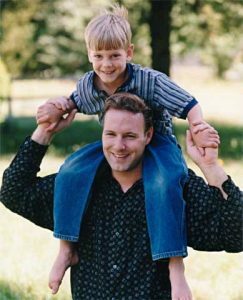 Legal custody relates to major decision-making responsibility for the children. The court may award “joint legal custody” where both parents have a role in making decisions for the child, or “sole legal custody” where one parent is ultimately responsible for making decisions in the child’s best interests. Physical custody relates to where the children spend their time. “Parenting time” is another term gaining popularity. The term is used to describe physical custody and/or visitation. “Parenting Plans” are another device and are gaining popularity in the arena of child custody and visitation. Despite popular belief, physical custody of a child will not be given to a parent as a reward, or deprived from a parent as a punishment. Rather, custody will be awarded based upon consideration of the statutory factors, and a determination of “the best interest of the child.” The parent who does not receive physical custody of the child, the “non-custodial parent,” will receive visitation with the child. A visitation schedule will be set by the court, if the parents cannot voluntarily agree upon satisfactory arrangements. Child custody and visitation orders are always modifiable, based upon a “material change in circumstances” after the date of entry of the last custody/visitation order. For more information on this topic, please see our Family Law Frequently Asked Questions page. For more information on child custody and visitation, and to obtain specific advice on the laws applicable to your situation, please contact us to schedule a consultation.